The sixth week of the 2011 Tanglewood schedule, August 12-18, features a program of Spanish Music, with Maestro Rafael Frühbeck de Burgos land guitar virtuoso Pepe Romero making his Tanglewood debut; Yo-Yo Ma solos on a program lead by Christoph von Dohnányi, Rafael Frühbeck de Burgos conducts the Tanglewood Music Center Orchestra (TMCO) in an all-Brahms program, and the Tanglewood debut of Philharmonia Baroque Orchestra. This concert is performed without intermission. Maestro Rafael Frühbeck de Burgos leads a program dedicated to Spanish and Spanish-inspired music, with guitar virtuoso Pepe Romero making his Tanglewood debut; highlights include Bizet’s Preludes from Carmen, Rodrigo’s Concierto de Aranjuez with Mr. Romero as soloist, and Falla’s Interlude and First Dance from La vida breve. Two of classical music’s most acclaimed artists join the BSO August 13 as the inimitable cellist Yo-Yo Ma and German-Hungarian conductor Christoph von Dohnányi present a program of Prokofiev’s Symphony No. 1, Classical, Schumann’s Cello Concerto, and Brahms’s monumental Symphony No. 1. The Tanglewood Music Center Orchestra pays homage to Brahms with a concert dedicated entirely to his music, including Nänie and Schicksalslied for chorus and orchestra; the Alto Rhapsody, for mezzo-soprano, male chorus, and orchestra; and Symphony No. 2. 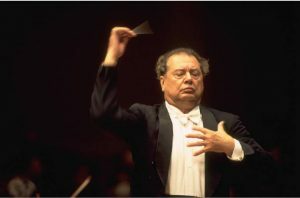 The student is conducted by Rafael Frühbeck de Burgos and joined by Stephanie Blythe and the Tanglewood Festival Chorus. Yo-Yo Ma and pianist Emanuel Ax renew their longstanding and widely celebrated musical partnership with a recital to include music from two of the all-time masterworks of chamber music: Beethoven’s Sonata No. 3 in A for cello and piano, Op. 69, and Brahms’s Trio in A minor for clarinet, cello, and piano, Op. 114. Mr. Ma and Mr. Ax are joined by the principal clarinetist of the Metropolitan Opera, Anthony McGill, who makes his Tanglewood debut. Philharmonia Baroque Orchestra makes its Tanglewood debut in dramatic fashion with a complete performance of Handel’s opera seria Orlando under Music Director Nicholas McGegan. Inhabiting the roles of this Baroque masterpiece are soprano Dominique Labelle, soprano Susanne Rydén (Tanglewood debut), mezzo-soprano Diana Moore (Tanglewood debut), countertenor Clint van der Linde (Tanglewood debut), and baritone Wolf Matthias Friedrich (Tanglewood debut). Handel’s opera brings together far-ranging episodes of one of the great heroes of Western literature, based on the 16th-century Ariosto epic Orlando Furioso. This is an extended concert with two intermissions. Sung in Italian with English supertitles.